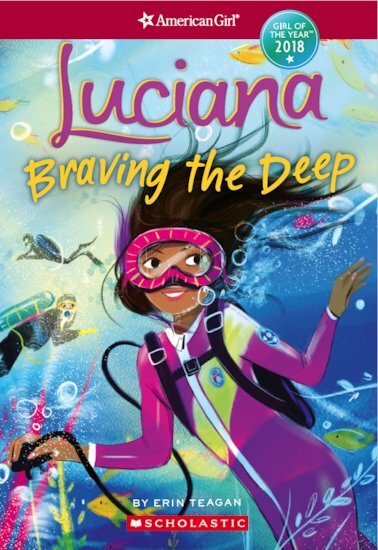 In her second novel, Luciana is off to youth astronaut training camp! She hopes to be chosen to dive to an underwater habitat where real astronauts train for life in space. But when Luci accuses her diving partner of sabotage, no one believes her and her chances of making the diving team sink fast. Things hit rock bottom when Luci has an underwater crisis. Suddenly, making the dive team isn’t her biggest worry. She’ll have to conquer her fears if she ever wants to make it to Mars. If she can’t, will she have to kiss her dreams of becoming an astronaut goodbye?